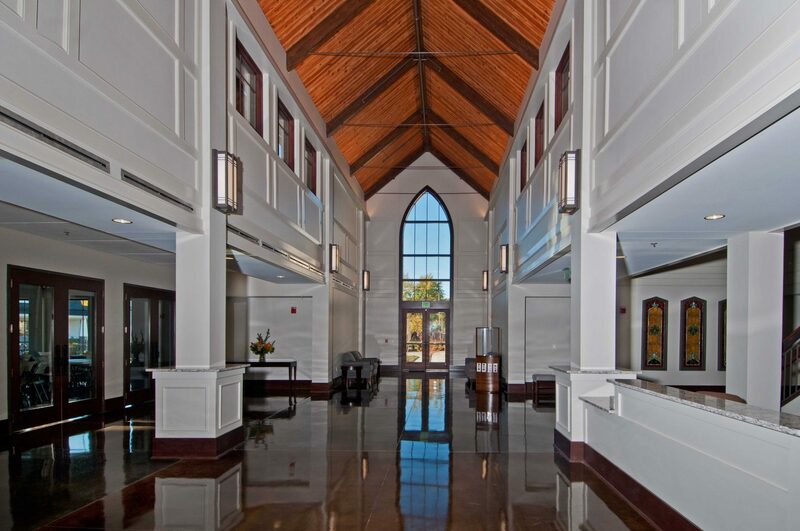 New 2 story church building to replace a building damaged by lightning in 2013 that included a new Sanctuary, Fellowship Hall, Kitchen, Offices and Classrooms. 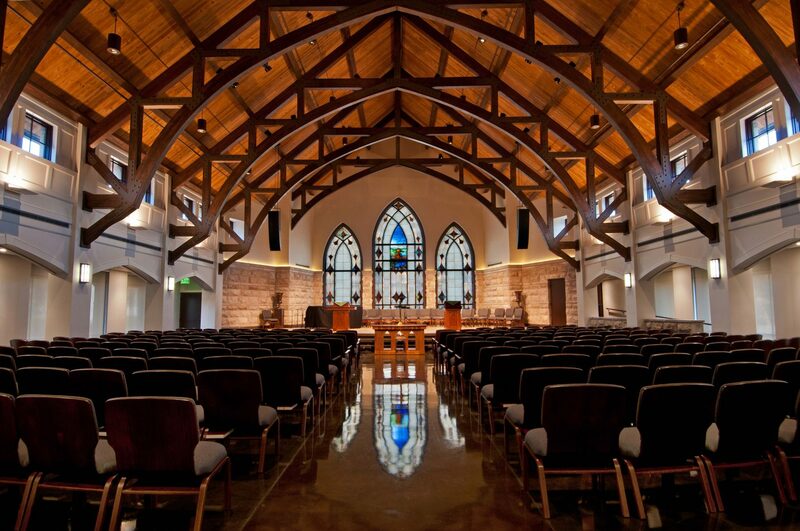 It features 40’ tall exposed timber trusses and exposed wood decking in the Sanctuary, Fellowship Hall and Entry Lobby, Interior stained concrete floors, a monumental oak wood stairs/railings to the second floor and elevator. 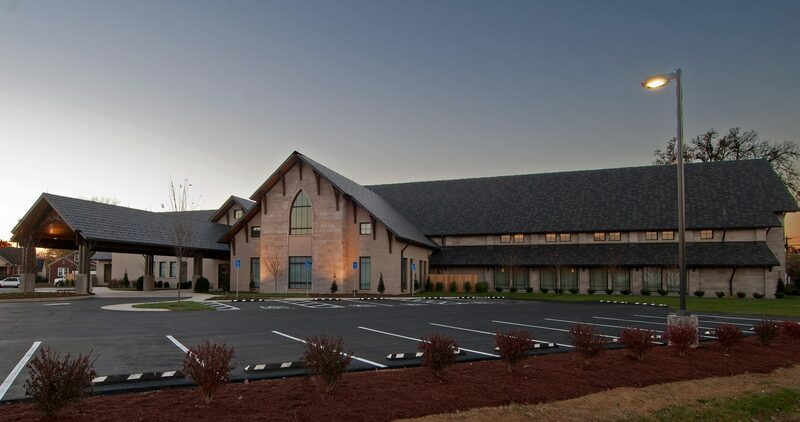 The exterior is Indiana limestone and brick veneer with exposed stained wood roof decking and metal shingles. It has a large drive thru canopy that includes the same timber trusses and wood decking from the Entry Lobby. 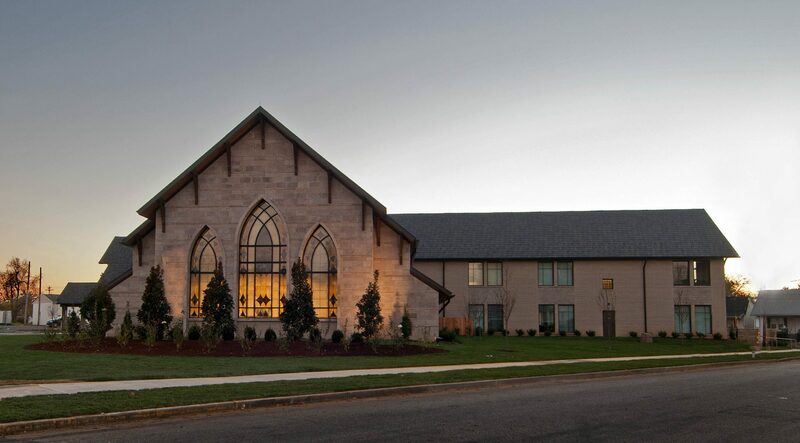 The site includes a metal picked fence setting on the existing church stone foundation wall that surrounds a patio off the Fellowship Hall and a Columbarium.